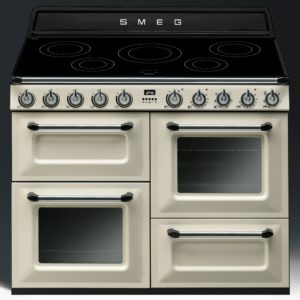 Traditional style meets modern technology. 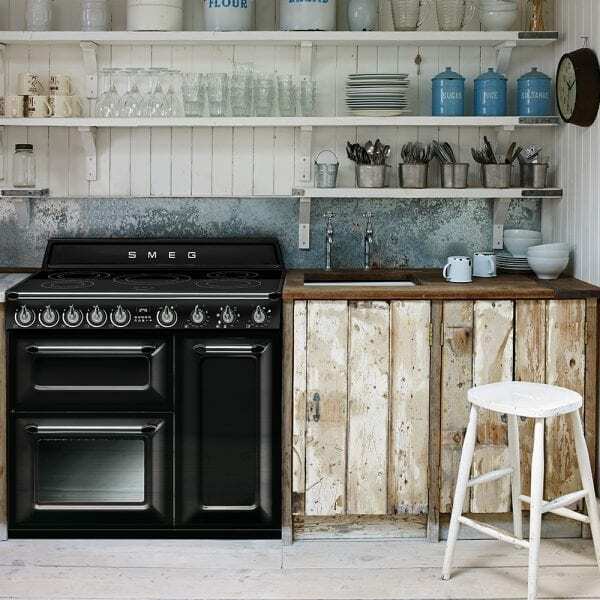 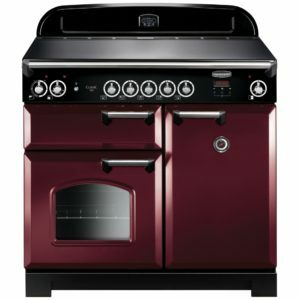 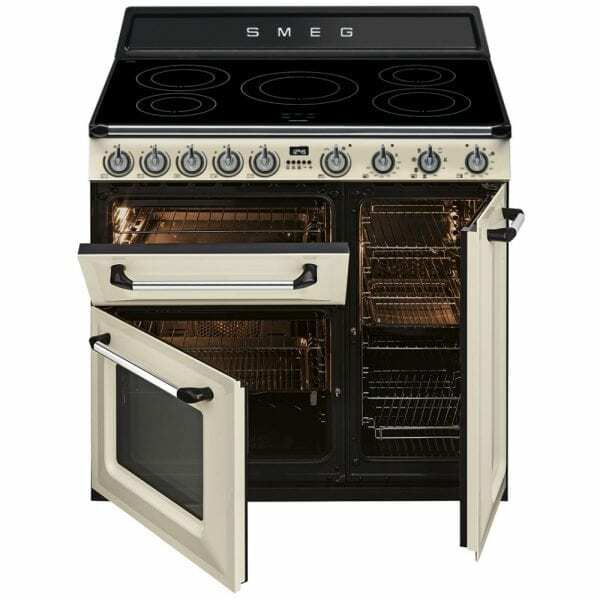 You’ll love the TR93IBL 90cm Victoria cooker from Smeg. 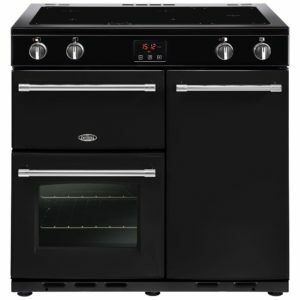 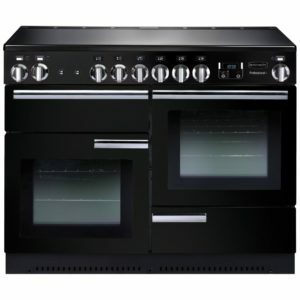 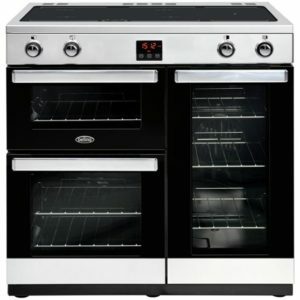 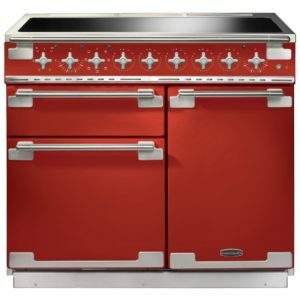 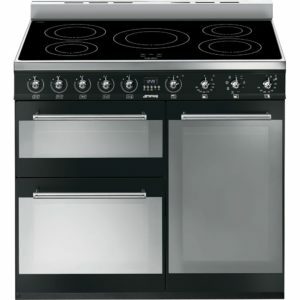 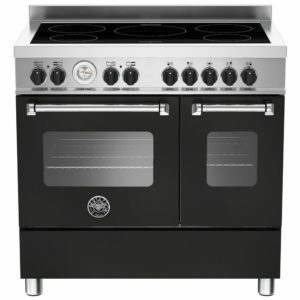 This traditional range cooker features two electric ovens, a five zone induction hob and a separate grill compartment, so you won’t be short of space to cook up your favourite dishes. 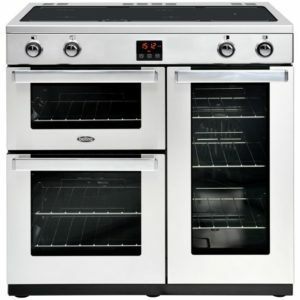 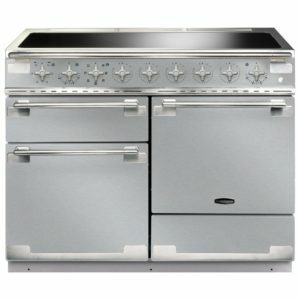 The main 63 litre oven offers 7 cooking functions and a VaporClean function, so you can keep it in tip top condition. 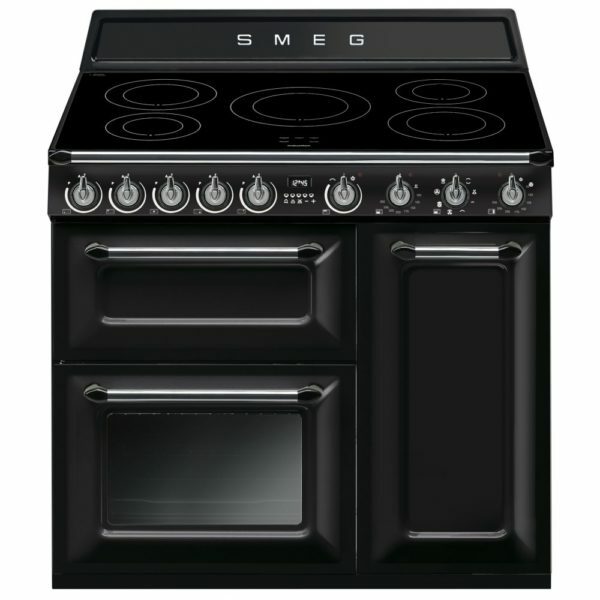 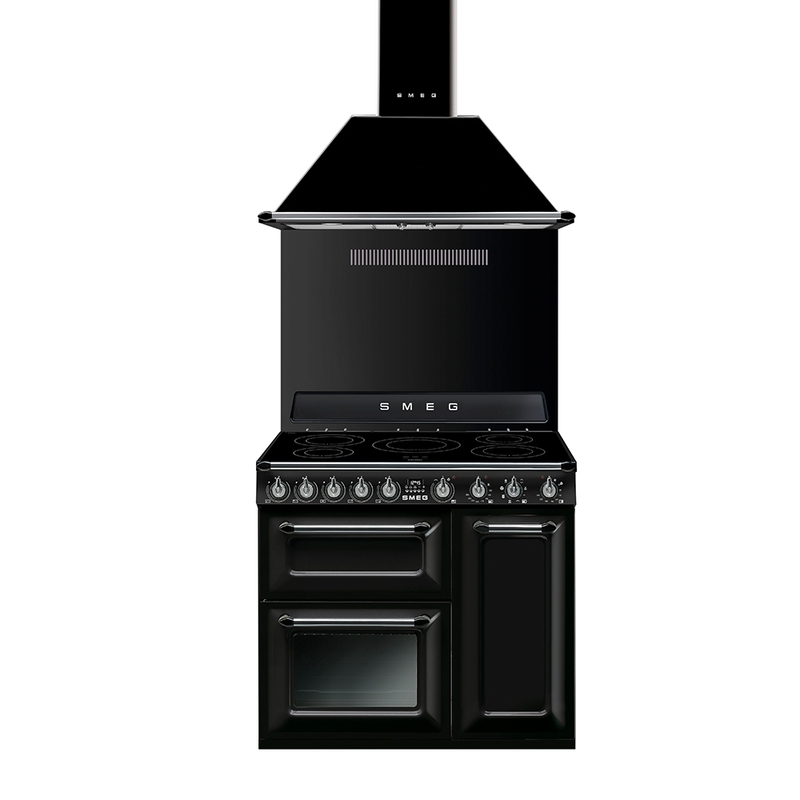 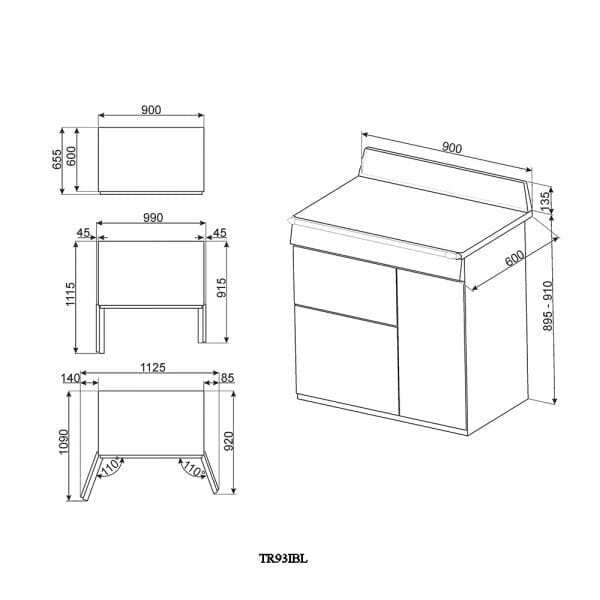 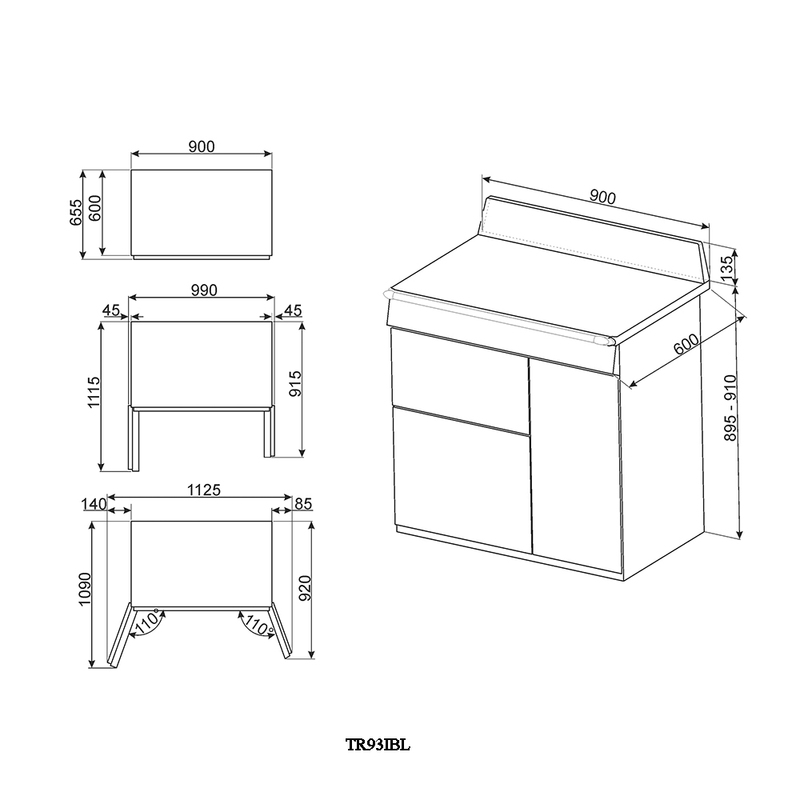 This model is finished in black and fits in perfectly with Smeg’s retro refrigeration range.